Microsoft is yet to fully announce which features will make it into the Windows Phone 7.8 upgrade, but a document on Nokia's website sheds some light on it. 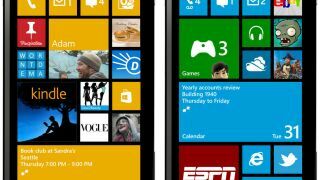 Windows Phone 8 will be launched in October, but current handsets running Windows Phone 7 won't be eligible for the upgrade, instead having to settle for the less feature-packed 7.8 update. We've already learned that Windows Phone 7.8 will sport the new homescreen tiles, with variable sizes allowing more to fit on the display, and now a document which is on Nokia's website reveals greater detail. As the document is from the Finnish manufacturer the 7.8 upgrade for devices made by other firms could differ slightly, but we'd expect it to stay the same across the board for the most part. According to the document, Windows Phone 7 users can expect to get an improved camera application, which will offer Smart Group Shot, action, panorama and self-timer options. Microsoft will also bring Wi-Fi tethering to Windows Phone 7.8, allowing you to share your handset's internet connection with other devices, plus the ability to flip the phone over to silence an incoming call, message tone or alarm. It looks like current Windows Phone users will miss out of the likes of proper multi-tasking, NFC capabilities, over-the-air updates, multi-core processor support and IE 10 – all of which appear in Windows Phone 8. The Windows Phone 8 release date is set for October 27, the same as Microsoft's main Windows 8 operating system, so official details on Windows Phone 7.8 should be with us soon.